Have you ever noticed the section at the back of plant stores where the worn-out, root-bound, leggy plants are? They are usually nearly dead and 75% off. You can get some of the best deals right there, if you have a bit of patience and can give them some TLC. Many plants will re-bound in the fall of the year for a shorter growing season, and transplanting them into a larger container with some really good quality soil, and fertilizer will yield you a surprising end-of-season harvest or bloom. Perennials are an even better investment because if you can revive them, they should rebound next year also. So you can easily add all sorts of flowers to your garden for next season, at a fraction of the cost. Find out what day plants are added to the clearance section so you can get there early. Pick the best of what is left. Burned up or severely wilted plants may not rebound. Plan to plant your new purchases as soon as you get home. Keep them watered for several days as they are acclimating to their new environment. Don’t wait too late in the season if you are in colder climates, the roots need to be established before the ground freezes. 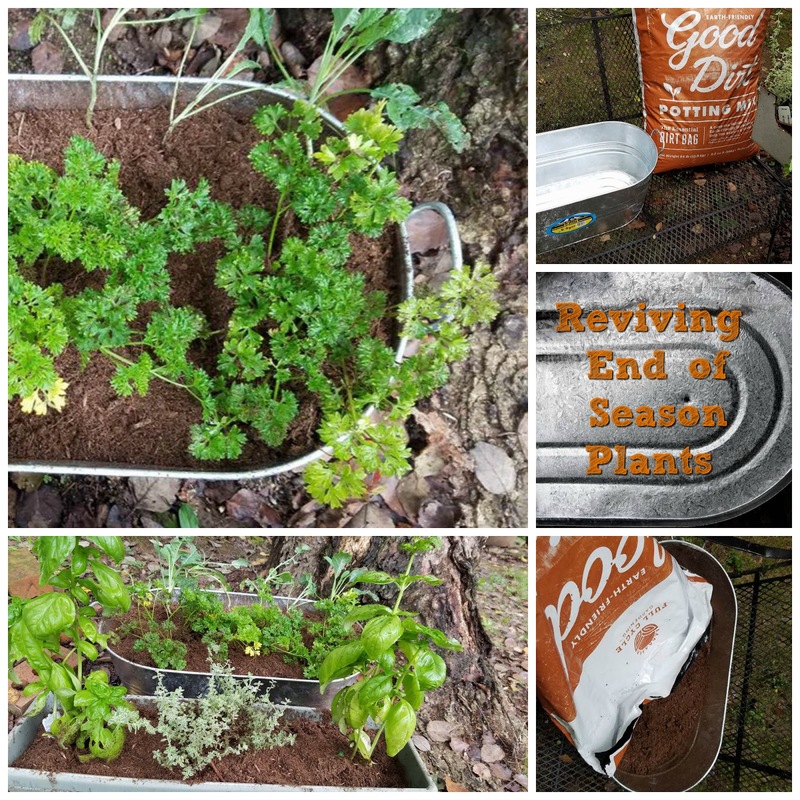 I use a lot of herbs, so I am always sad to see the growing season end. However, you can always extend your growing season by using containers, and getting some really great deals on end-of-season plants. These plants have usually been out for more than a month, and I managed to find about twelve plants including parsley, basil, thyme, and kale that were 75% off. My container dirt of choice is Good Dirt. 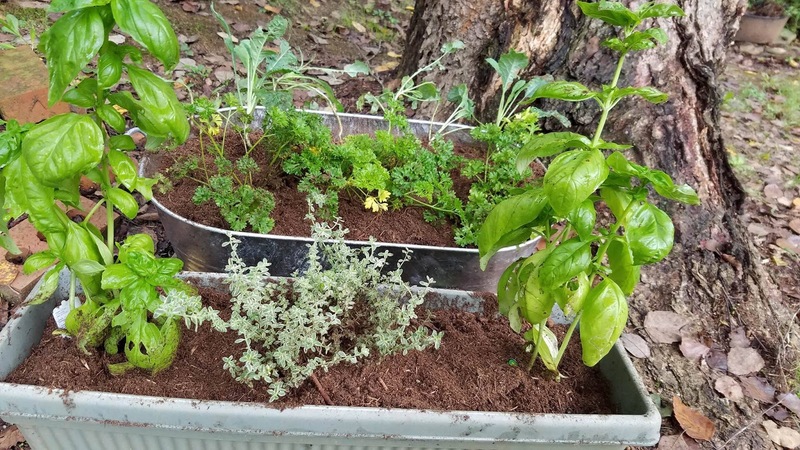 After spreading out the roots, and pinching them them back, the plants appeared to be reviving within days of being introduced to a larger environment with a rich source of fresh nutrients from the soil. When the temperatures drop too low, I will move the container into the garage under a window to extend the life even longer. Mums are also a very easy plant to purchase on deep discounts as they start fading within a few weeks. These plants can be taken home, planted in the ground, and trimmed back throughout the spring till July 4th. Then, next fall, you will have a crop of mums coming up in your yard that only cost you a fraction of the price they will be on the shelves. These mums here are an example of some I did this with last year, they are just now beginning to bloom out. 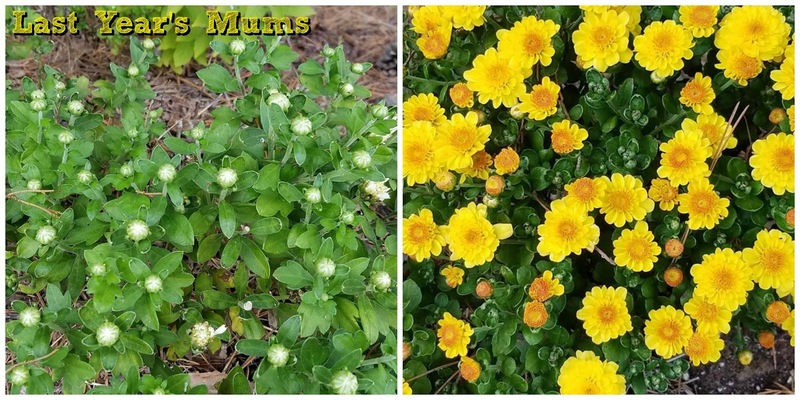 Also, if you have purchased mums, don’t throw them out when they are done blooming, go ahead and plant them so you can enjoy them again next year! You can bet all the mums you see in our truck, will be planted somewhere by the end of the season.